"We're talking about one of the best managers in Europe here and he's earned the right to make the decisions he wants." It was a very even game on Tuesday night at the new Spurs stadium, although Spurs probably just about deserved the win. Man City missing the penalty early on was a big help to Tottenham, it gave them momentum and impetus for the rest of the match. I know there has been some controversy on that decision, but it was a penalty for me - Danny Rose's arm was up and the ball was going towards the goal, so the referee was right to award it. 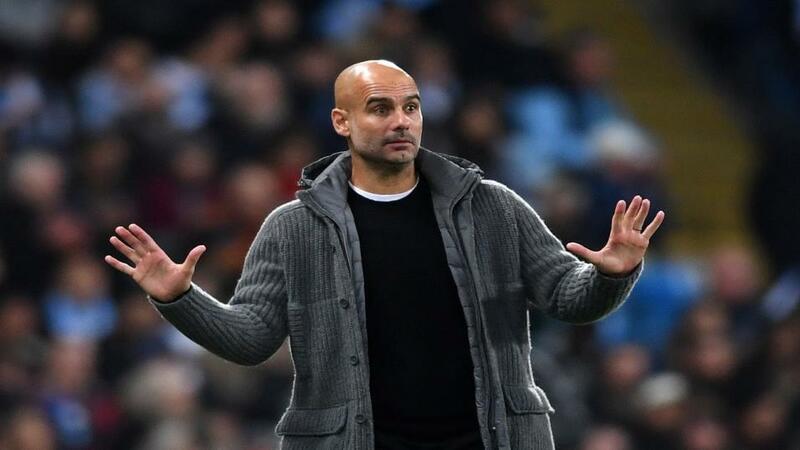 Pep Guardiola has received quite a bit of criticism from fans for his team selection on the night - particularly playing Riyad Mahrez and Fabian Delph and not starting Kevin de Bruyne - but supporters aren't coaches! We're talking about one of the best managers in Europe here and he's earned the right to make the decisions he wants. Well. That's as poor as I've seen us this season. Pretty dire. The starting XI was bizarre. The subs at 88 mins totally bizarre. Oh well. Back to the Etihad...but we can't be that negative again this season. It's just not us. Over-thinking tonight cost us. At least it was 1-0. In the case of Mahrez and Delph, it shows that Pep has faith in his squad players which will give them confidence ahead of the important games in the run-in. Fans need to trust the manager; the decisions might seem strange on the outside but he will have done it for a reason. For all the criticism of Guardiola, it wasn't a bad result in the end really. He probably had the Liverpool defeat last season in the back of his mind when he set the team up fairly conservatively, and City will more than fancy their chances of turning around a one-goal deficit back at the Etihad next Wednesday. Losing Harry Kane to another injury is obviously a massive blow for Spurs, although in Son Heung-min and Lucas Moura, they have the attacking weapons to hurt City on the night. A lead of 1-0 is nothing really - look at the Atletico Madrid v Juventus game in the last round. Atletico were 2-0 up but Juve absolutely blew them away in the home leg. An early goal for City on Wednesday will make life very difficult for Mauricio Pochettino's men although I don't expect them to just sit back and defend - that's a recipe for disaster against City. I think City will have too much on the night and will end up qualifying but Spurs won't make it easy for them. It was a pretty boring game at Old Trafford on Wednesday if I'm honest. Barcelona did what they needed to do to get the result, they are an experienced team who know how to control the tempo, when to press and how to take the sting out of the game. The goal - which was Luis Suarez's all day long by the way - was one of the few moments of quality in the match, and it was all down to the vision and awareness of Lionel Messi. A superb pass. United's best chance fell to Diego Dalot but his header ended up going out for a throw-in and that summed up their night in many ways. It will be very difficult for them to turn this around on the big Camp Nou pitch in the second leg. I'm told it's now four defeats in five for Ole Gunnar Solsjkaer but absolutely no concerns from me on that, it's absurd to even suggest there would be. They got a bit of luck for the first goal, but it was a deserved and pretty routine victory for Liverpool over Porto on Tuesday. We can't write Porto off as they are a good side, but Jurgen Klopp's men have a bit of breathing space for the second leg, which sets them up nicely for Chelsea's visit on Sunday. What a massive game! I expect City to beat Crystal Palace earlier in the day, so it will be yet another must-win for Liverpool against a Blues side who have won three in a row. If they can neutralise Eden Hazard, it will probably be most of the job done for the Reds, but that is easier said that done. His goal against West Ham was unbelievable; he's unplayable at the moment. Chelsea couldn't afford to let the Belgian go even if they didn't have a transfer ban, but that makes it even more imperative. They'll be doing all they can to convince him, but when the player wants to leave it's difficult. A word on Ruben Loftus Cheek and Callum Hudson-Odoi who have both done well since forcing their way into the side. The old school Italian managers like Sarri will always rely on experience, so credit to those two for working hard and getting the first team spots - they deserve the chance. Arsenal were poor at Everton last week but they've had problems away from home for many years now. When you have difficulties at certain grounds, it gets into your head before the game and can affect the mentality. We know exactly how Watford will play on Monday night; they'll be aggressive and get in Arsenal's faces from the off, playing with passion and working their arses off. But while it will be a tough game, I'll back Arsenal's class to shine through in the end, and they can nick it.